I know every single post so far, or pretty much every “5 mistakes” post has included “slow down” as one of the 5 mistakes. And at this point in your project, it rings the most true. By now you have tunnel vision... The light is there, palpable almost: the equipment is in, your employees have been chosen, all your paperwork is in place. Your first instinct is going to be to throw the doors wide open and welcome all the animals you can like the march onto noah’s ark. Hold on a sec. Your very first customers, especially when you’re new, are going to make or break your business. You will find that it is hard to ask people to change their routine. They will most likely bring in 1 or 2 animals to “test” you out. A mistake in the very beginning is your first impression. Farmers are talking around the dinner table and chatting after church about your business! Negative word of mouth soon after you open is going to be more devastating than you think. Great customer service and excellent cutting (even if it is slow) is going to get you positive results instead through word of mouth. 3. Allowing your customers to walk all over you - establish boundaries and stick to them! Sometimes pushy customers are easy to spot - they ask for things, for free, and complain, and routinely schedule late and show up early to pick up. And you know they would be the first to say something bad about you to their neighbor when you try to charge them for all their freebies. But sometimes pushy customers are harder to spot. There may be a situation that arises that you haven’t thought of yet, and you decide it’s easier to just “call it good” instead of think about how all those tiny services add up to real money. Along the way, as you interview and tour other plants, include “what was the one service fee or charge that you initially overlooked?” as part of your questioning. They will most likely come back with a whole slew of tiny things that add up to big bucks. My advice would be to make these a policy from day 1. It is a lot easier to take away a charge after a while than to add it later when you realize it’s costing you lots of money. Keeping an open line of communication with your customers, and your future customers is essential when opening. No one knows who you are, or what you’re doing, so keep them informed. 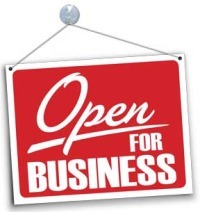 Whether it’s through advertising campaigns, articles in the newspaper, or radio spots, you should let people know that you’re open, available, and what you are offering. Same with your customers. Make sure they know what to expect and what not to expect so that they are happy and satisfied when they come to write you a check and spread the word that they loved your services. And: ask them and listen to them from the beginning. They will be your future customers - it is worth asking them what they want! 5. Trying to be everything to everybody - focus on what you do and do it well. But keep the miracle-worker vibe in check - don’t try to be everything to everybody. Focus on what you do and do it well. This goes hand in hand with the first tip. You want to start out slow and offer a base level of services. This will allow you to pin-point weak spots in the system and fix them without getting overwhelmed. Also, when you offer something simple, and customers are satisfied, your business will grow with your customer’s support. Then, they will be excited when you add services to your business, such as curing and smoking, or making sausages. If you dial in your base services and nail it each time, those customers will be waiting for the same level of quality when you launch a new service or product. Slowly build and make sure you’re continuing to reach the high level of service you have established from the beginning.